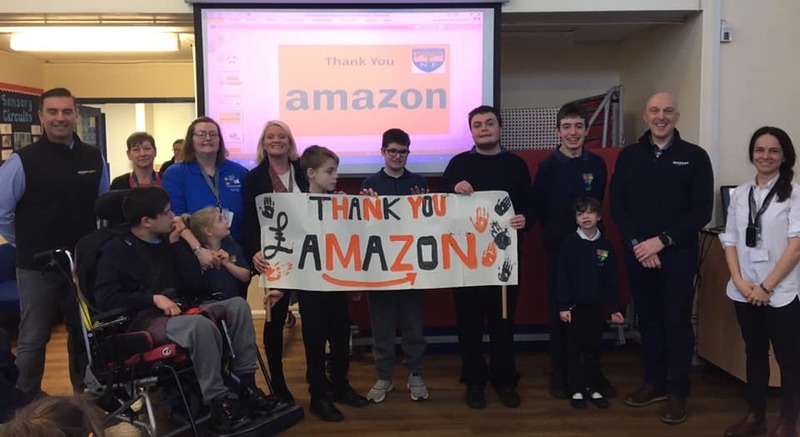 Friends of Sandon and Ambergate (FOSA) are delighted to announce they have received a £2,000 donation from Amazon to support pupils at two Grantham Special Education Needs schools. The schools cater for pupils between the ages of 3 and 19 with moderate to severe learning difficulties and complex needs. The donation is part of the Amazon community programme, underpinning their belief that ‘all children deserve an equal opportunity to reach their full potential in today’s digital world’. The funds will be used to improve outdoor areas, supporting pupil need and creating a positive environment.